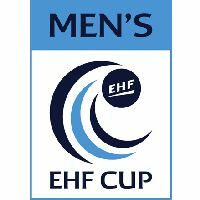 The draw of the Men's EHF Cup first two playing rounds took place at the EHF Office in Vienna on Tuesday. The matches will be played with the home and away system. The first leg of Round 1 is scheduled for 7/8 September, the second leg will follow one week later. The first leg of Round 2 will be played 12/13 October, the second leg will follow one week later. The winners of the first edition of the reformed EHF Cup Rhein Neckar Löwen will play in the VELUX EHF Champions League in the 2013/14 season. The runners-up and hosts of the EHF Cup Finals HBC Nantes were directly seeded for the Qualification Round 2, where they meet RK Partizan. TSV Hannover Burgdorf, Reale Ademar León and Aarhus Haandbold together with nine teams from the VELUX EHF Champions League Qualification are directly seeded for Qualification Round 3, which is the last before the Group Phase.